The moon has helped man measure time for thousands of years. 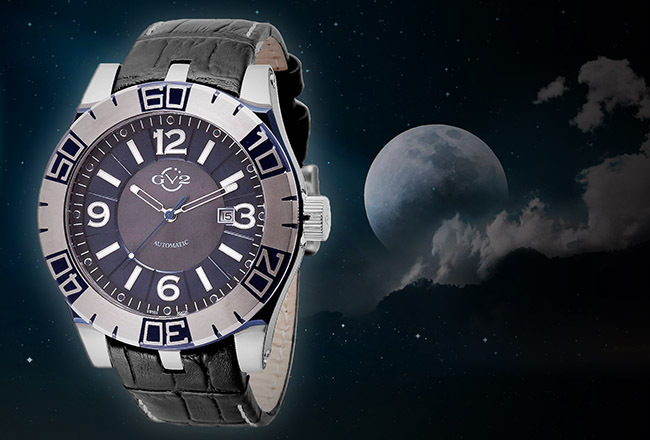 Now the GV2 La Luna celebrates the moon’s influence with a stellar new timepiece. Every twenty-eight days the moon marches across the sky. Every 24 hours, the GV2 La Luna celebrates the passage of time in a more stylish way: on your wrist. This boldly styled 48 mm men’s timepiece combines the straightforward, high visibility dial of aviator style timepieces with the functionality of modern diver timepieces. 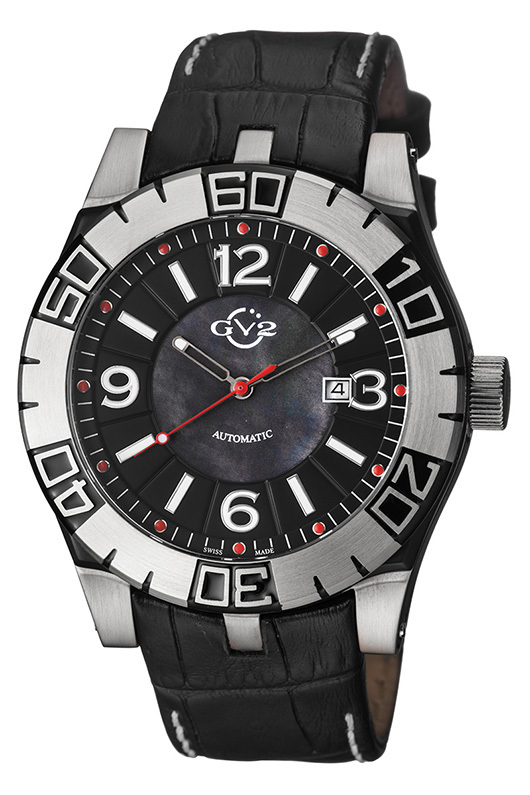 The oversize three-hand configuration features a unidirectional rotating stainless steel bezel marked in 60-minute increments. 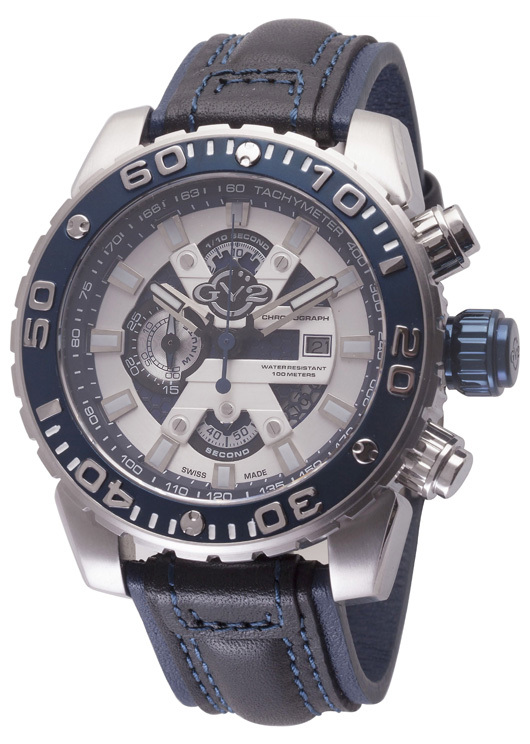 Combined with a water resistance of 165 feet and highly luminous hands and indices, this watch is well suited to underwater environments. The GV2 La Luna is available in five different versions, each produced in a strictly limited edition of 500 pieces worldwide. Available stainless steel, IP rose gold, IP yellow gold, and IP black models have been fitted with a luxurious topstitched black calf leather band with a traditional buckle clasp. 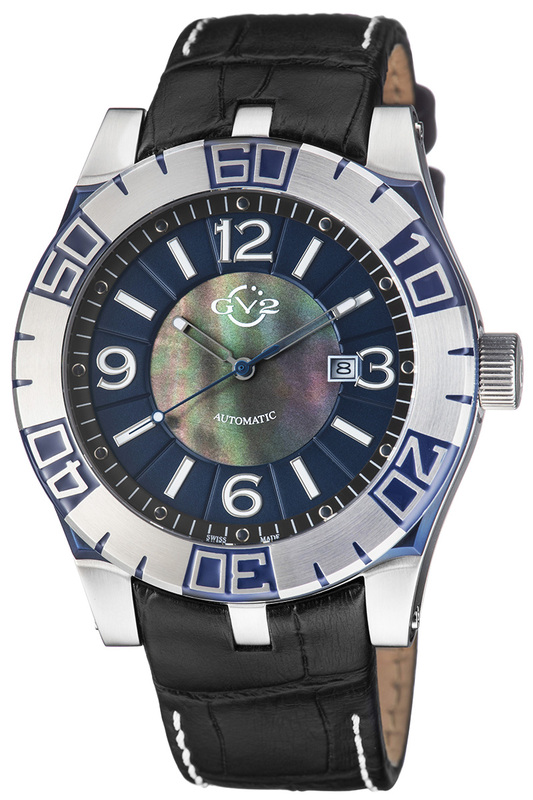 The easy-to-read dial features a convenient date window at 3 o’clock and is available in black or blue with a genuine mother of pearl center. 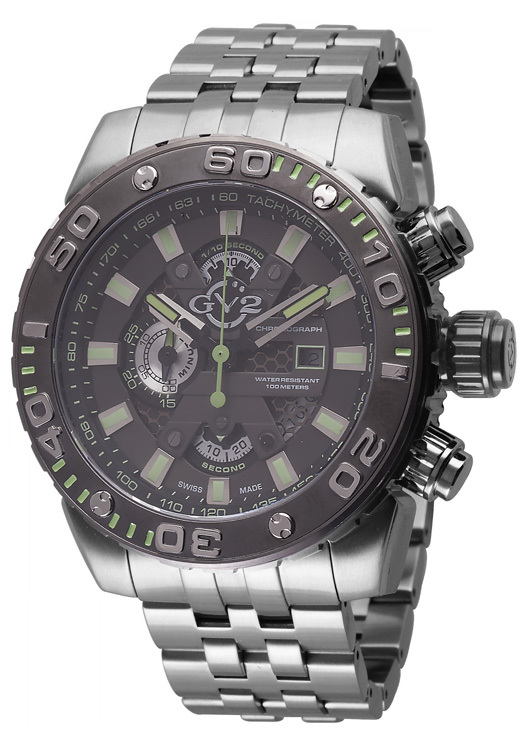 Protecting the attractive dial is an anti-reflective, scratch resistant sapphire crystal. 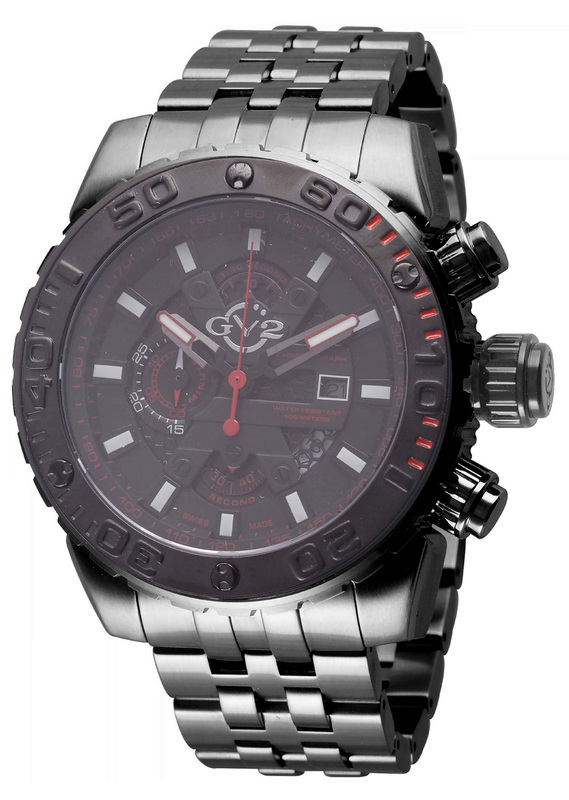 Like all GV2 timepieces, the La Luna carries a two year manufacturer’s warranty. 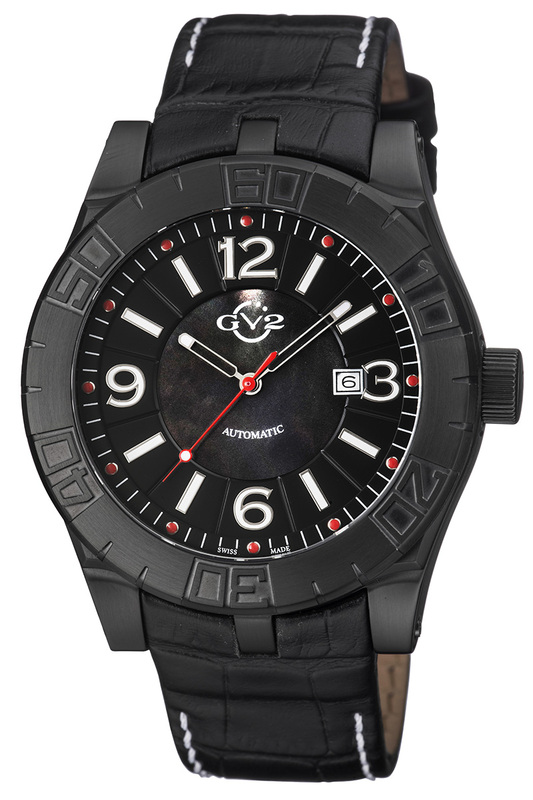 A genuine Swiss made MD3G automatic mechanical movement powers all timepieces in the GV2 La Luna Collection. The craftsmanship and detail on these fine timepieces are exemplary. It is almost impossible to find a high quality mechanical timepiece at such an affordable price point. 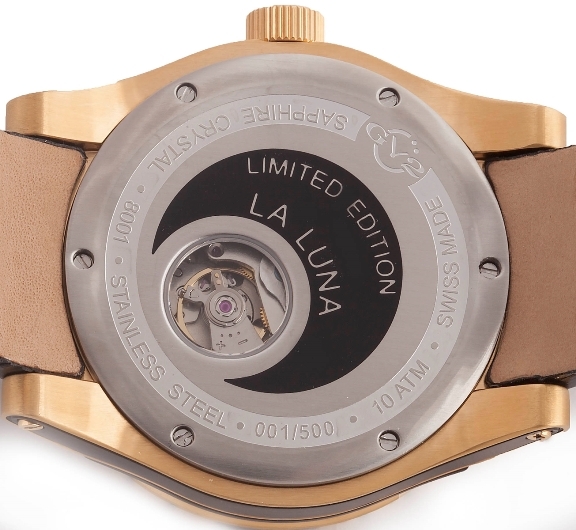 If you’re looking for a unique, fashion forward tool watch, the boldly styled La Luna represents a tremendous value in today’s market. To see what one of these fabulous men’s timepieces looks like on your wrist, contact your authorized GV2 dealer immediately and ask to the entire GV2 La Luna Collection. 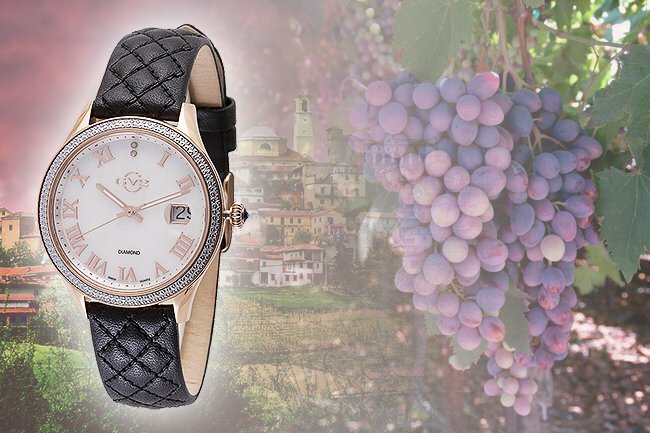 The home of some of Italy’s most glamorous wines and spirits is the inspiration for one of GV2’s most desirable timepieces. Asti, Italy has a history that goes all the way back to the Roman Empire, but it is best known as the center of one of Italy’s most famous wine districts. World famous brands like Martini and Rossi call Asti Provence home, along with some of Italy’s finest red and white wines. To celebrate this festive heritage, GV2 created an equally festive timepiece, the beautiful GV2 Asti. 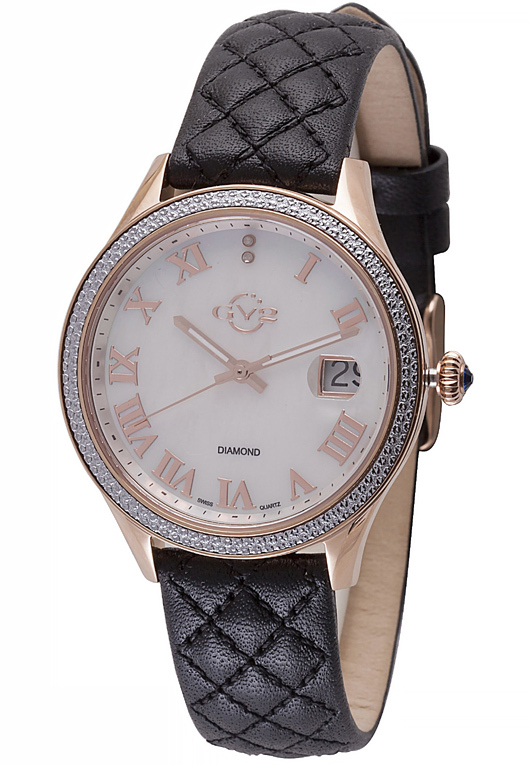 This classically styled 38 mm ladies timepiece features a fashion forward three-hand configuration with two genuine diamonds at twelve o’clock. 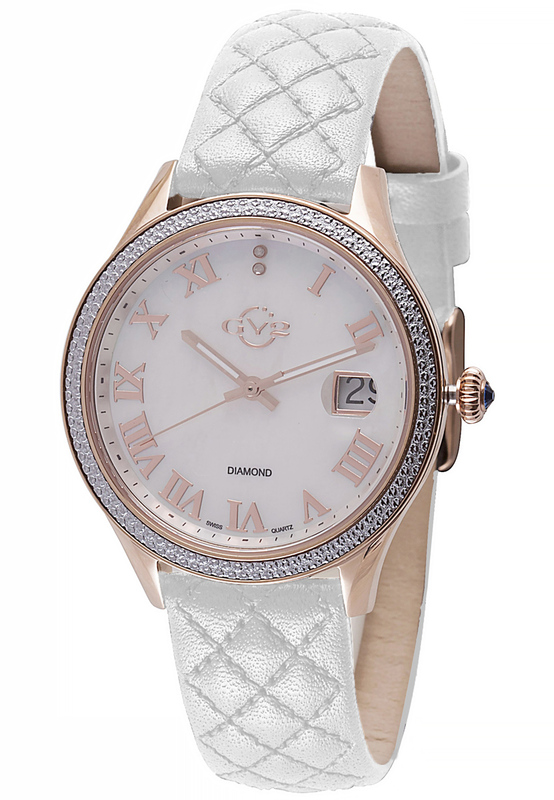 A sparkling diamond cut stainless steel bezel encircles a lustrous mother of pearl dial adorned with raised Roman numbers and a convenient date window at 3 o’clock. This inspired creation has a beautiful fluted onion style setting crown and can be fitted with your choice of a premium black or white quilted calf leather strap. The Asti Collection is available in stainless steel and IP rose gold limited editions, with production strictly limited to 500 pieces worldwide. Each of these fine timepieces is powered by a premium Swiss made Ronda 515 quartz movement and protected by an anti-reflective, scratch resistant sapphire crystal. The understated, elegant design is the perfect way to enhance virtually any outfit. The watch is large enough to wear with sporty attire, while exhibiting the refinement you need for your dressiest occasions. The beautifully crafted Asti is surprisingly affordable, and like all GV2 timepieces, carries a two year manufacturer’s warranty. To fully appreciate the GV2 Asti, make sure you have one of these beauties on your wrist the next time you enjoy a glass fine Italian wine. 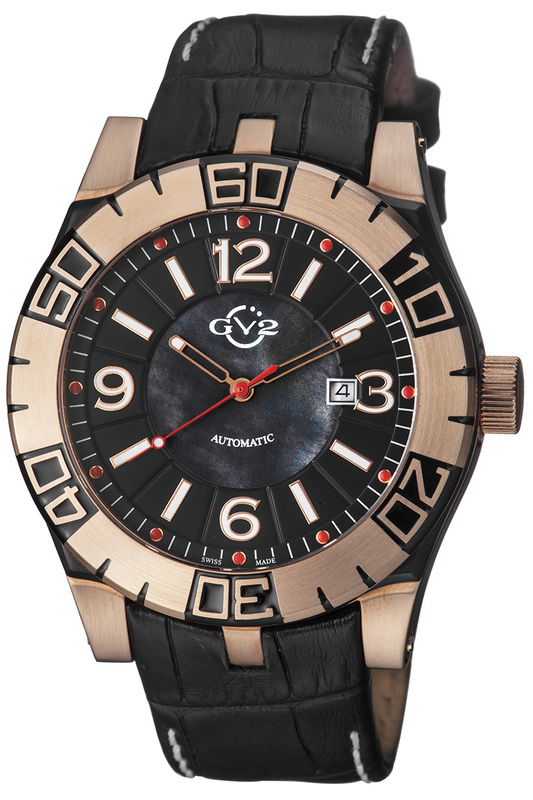 To see which Asti watch model is the vintage for you, contact your authorized GV2 dealer immediately and ask to see the entire Asti Watch Collection. The versatile octopus has eight arms. The equally versatile GV2 Polpo has eight different functions. Polpo means octopus in Italian. These clever cephalopods are known for their ability to camouflage and defend themselves against predators and travel swiftly through the water. With eight arms, three hearts and the ability to use their own ink to make them invisible, these highly intelligent creatures can be trained to solve complex problems and have even been observed playing. It is no surprise that the exciting new GV2 Polpo takes its name from this amazing sea creature. Like the octopus, the GV2 Polpo is extremely versatile. Instead of eight arms, this masculine 48 mm men’s chronograph has at least eight distinct functions. 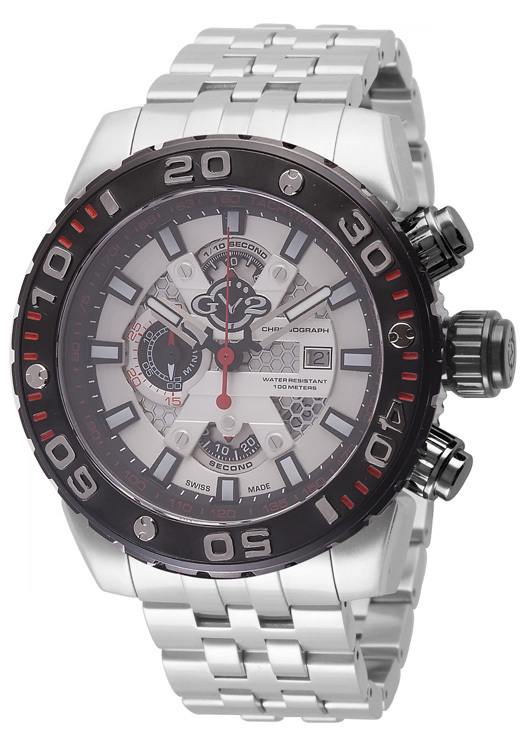 With a unidirectional rotating bezel, a tachymeter scale inscribed on the chapter ring, a convenient date window at 3 o’clock, a small seconds sub-dial, multiple elapsed time totalizers, a large red sweep hand controlled by two convenient pushers, a scratch resistant sapphire crystal, and a durable stainless steel case that is water resistant to 330 feet, this remarkable timepiece is ready for anything. 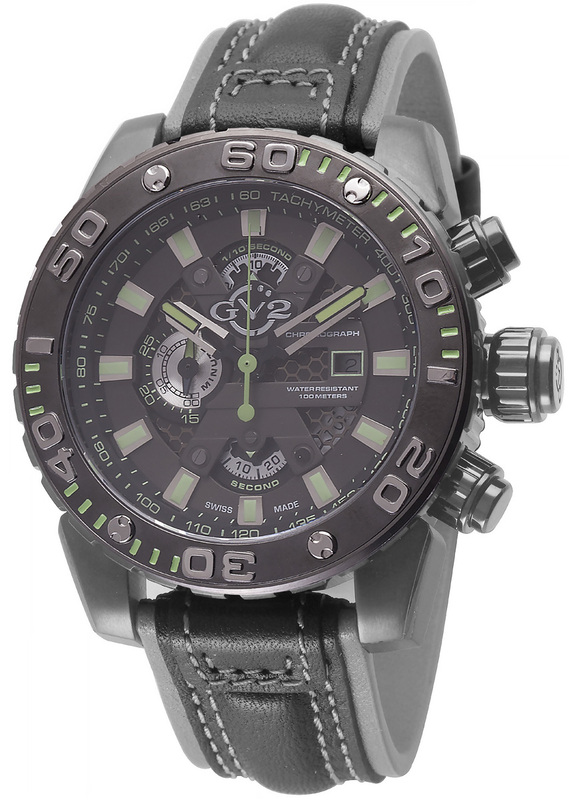 The GV2 Polpo combines the best of a diver’s watch and an aviator chronograph in a single exciting timepiece. With 1/10th second and 30-minute totalizers, along with a convenient tachymeter scale, events from road rallies to an afternoon jog can be tallied with ease. The watch is equally versatile under water. With a 60-minute unidirectional rotating bezel to keep track of your oxygen supply, bright luminous hands and indices, and a rugged stainless steel case suitable for everyday diving, this is a timepiece any adventurer can depend on. The GV2 Polpo Collection is available in ten exciting editions, each produced in a strictly limited edition of 500 pieces worldwide. You can choose from black, silver, gunmetal, and orange dials, with available two tone coordinated topstitched leather bands. A fitted stainless steel bracelet is also available. 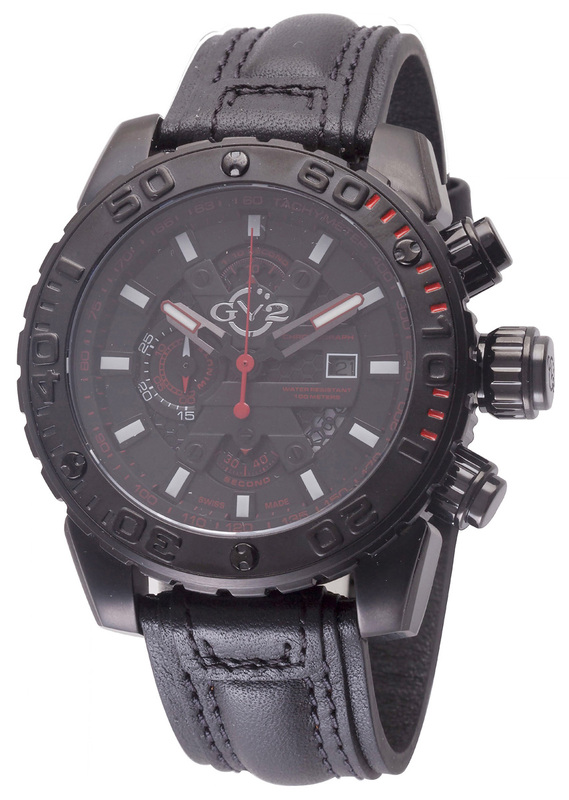 GV2 Polpo Chronographs are powered by a premium Swiss made Ronda 3540 quartz chronograph movement. Like all GV2 timepieces the impressive Polpo is covered by a two-year manufacturer’s warranty. 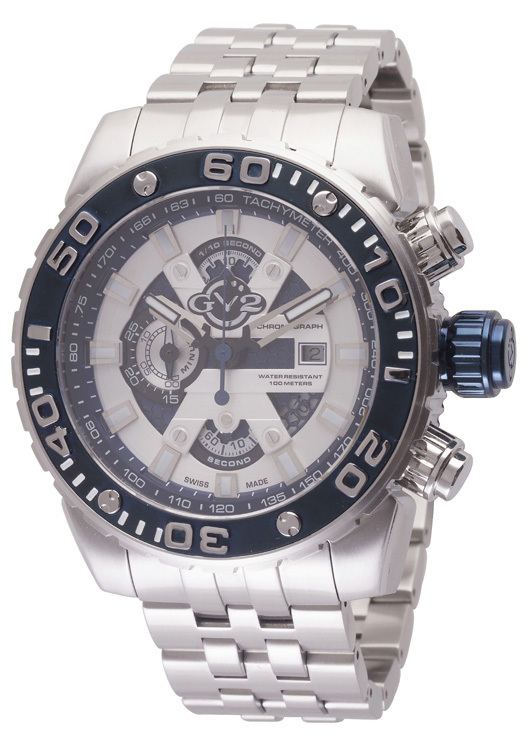 If you’re looking for a stylish timepiece with a multitude of uses, remember the octopus. To see which Polpo model looks best on your wrist, contact your authorized GV2 dealer immediately and ask to see the entire GV2 Polpo Chronograph Collection. Carrara, Italy is known around the world for its beautiful marble. Now, it shares its illustrious name with an equally beautiful watch. Carrara marble has been renowned for its beauty since the days of Ancient Rome. The Pantheon and Trajan’s Column were constructed using Carrara marble, and the beautiful stone from Carrara, Italy’s famed quarries is still widely used in modern buildings today. With this illustrious history, it is no surprise that GV2 chose Carrara as the namesake for one of its most beautiful timepiece creations. 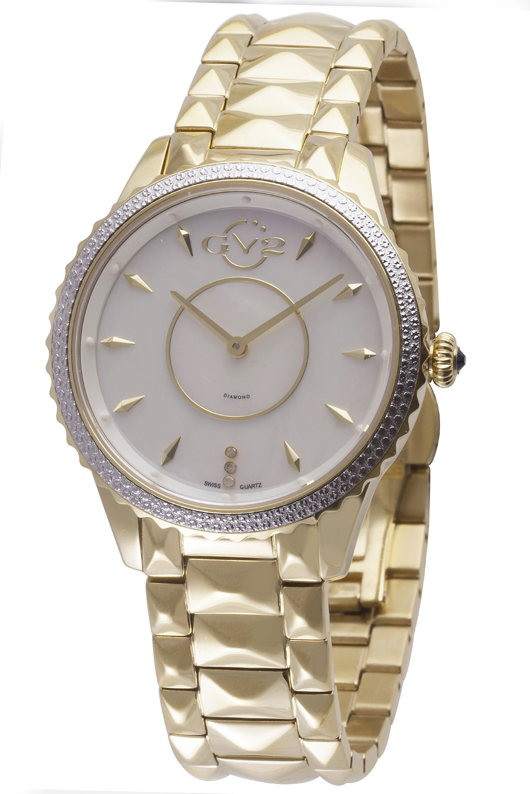 Like Carrara marble, the stunning new 38 mm ladies GV2 Carrara watch possesses a timeless beauty that will always be in style. This classically proportioned two-hand configuration features elegant pencil hands, raised metallic bar indices, and a row of three genuine diamonds anchoring the 6 o’clock position. A glittering diamond cut bezel surrounds the tastefully minimal dial and an onion shaped fluted crown capped with a precious blue cabochon completes the inspired design. This spectacular timepiece is available in exclusive stainless steel, IP rose gold, and IP yellow gold editions, with production limited to 500 pieces each. Each timepiece has been fitted with a matching stainless steel link bracelet. The Carrara is powered by a precision Swiss made Ronda 762 quartz movement designed to provide years of reliable service. An anti-reflective, scratch resistant sapphire crystal protects the beautiful mother-of-pearl dial. 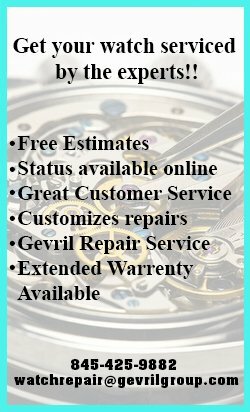 Like all GV2 timepieces, the Carrara carries a two-year manufacturer’s warranty. With its classic design and proportions, the versatile GV2 Carrara is the perfect way to accessorize just about any outfit. 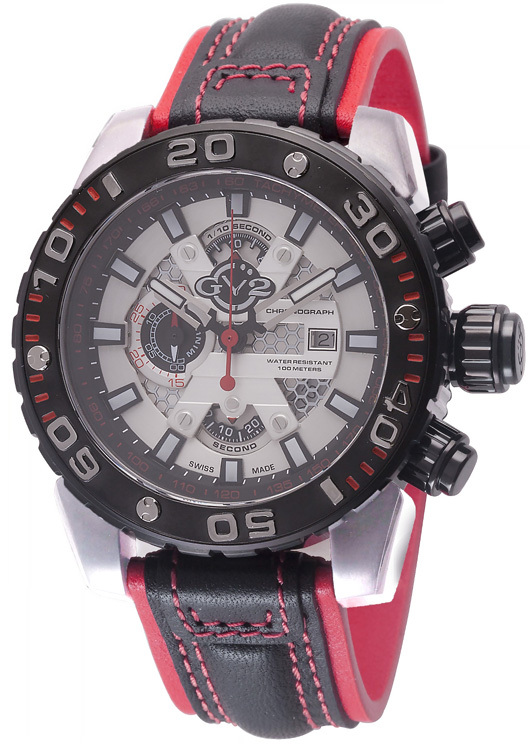 The watch is refined enough for dress and formal occasions, while remaining large enough to serve as an attractive accent to the latest sporty styles. To see how one of these timeless beauties looks like on your wrist, contact your authorized GV2 dealer today and ask to see the entire Carrara Watch Collection.